What steps are involved in a root canal? How can one avoid root canal? Are there other alternatives to root canals? In my experience, a lot of patients feel jittery when dentists recommend undergoing root canal treatment. The fear stems from all the misconceptions related to the treatment doing the rounds on the internet. This article is a step-by-step guide on everything you need to know about getting a root canal. Root canal treatment, also known as endodontic treatment, is carried out to restore a severely decayed or infected tooth. If the procedure is delayed, the tissues and gums surrounding the tooth become vulnerable to infection and swelling. The treatment entails removal of the nerve and pulp from the inside of the tooth so it can be cleaned and sealed. Tooth infections are usually accompanied by pain; and the longer the infection is allowed to thrive, the more intense the pain becomes. Dental infections are tricky in that by the time you realize you have one, it will have already affected your tooth adversely. Going without treatment can leave you with dental abscesses, which require additional treatment. This can result in immense pain when biting and chewing. Any pressure exerted upon the tooth also leads to unbearable pain. Also, consumption of hot and cold items causes tooth sensitivity. If you experience these symptoms for a couple of days, you know you need treatment. Apart from the above symptoms, swelling is another indicator that all is not well. Swelling appears when pus builds up at the base of the teeth where they are attached to the gums. In turn, the gums become affected too and get permanently damaged. Furthermore, tooth decay is caused by bacteria, which can leave your mouth smelling bad. You may want to get such a condition checked and treated immediately before it worsens. If this occurs, you may have trouble opening your mouth as well as chewing and swallowing food. Root canal treatment has a reputation for being painful, and hence, scary. This dissuades the majority of people from seeking timely treatment. 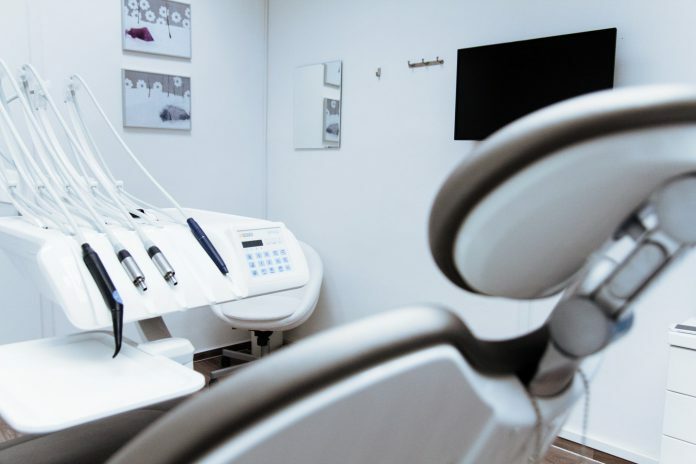 Thanks to modern technology, however, dental care procedures are no longer uncomfortable and/or painful and allow patients to resume their daily activities within a day or two. Discomfort after the procedure is minimal and can be mitigated with medicines. You can speak to your dental care provider about the use of anesthesia and other pain relief techniques for a less worrisome root canal. The first step towards getting a root canal is identifying/diagnosing the extent of infection/decay. This can be done through a thorough dental checkup. Your dentist will ask for x-rays so they can understand the extent of damage and where they need to drill to drain the infection out of your tooth. Dentists often use anesthesia before performing a root canal. If you think that the anesthesia isn’t enough, talk to your dentist about other options available to you. The affected tooth will be isolated with a piece of rubber to keep it clean and dry. Your dentist will then drill a hole in the tooth. After making the hole, the dentist will use files to drain the pulp from inside the tooth. The files can vary in size to ensure that the area is cleaned up without damaging the tooth further. Depending on the condition of the tooth, the root canal may be sealed either the same day or later. Waiting to seal the tooth will allow the prescribed medicine to clear out the infection properly. A temporary filling is placed to close the hole. In order to prevent the nerve in the tooth from exposure to infection, the tooth will be sealed with a sealant consisting of a rubber compound and paste. Not all cases need a crown to be placed on the tooth post sealing, but it does provide an additional layer of protection. The cost of root canal depends on various factors such as the complexity of your case, your dentist’s experience in carrying out this procedure, and even your location. However, there are exceptions. For example, the fees of an experienced general dentist may differ from a dentist who is new in the business even within the same vicinity. With this in mind, the costs typically hover between $300 and $1000 for root canal and can go higher for a crown. If done properly, root canals can be highly successful with the procedure having a success rate of over 95%. With proper care, you can ensure that the treated tooth lasts you a lifetime. Once the crown is placed on the tooth, it looks nearly natural and it becomes hard for onlookers to decipher that a root canal was performed. Brush your teeth twice a day. Floss behind your back teeth every day. Use a floss threader to clean under bridges. Avoid snacking on sweet treats as they help bacteria thrive and create an acidic environment in the mouth. Go for regular teeth cleaning and checkups. In case of pain or infection in your teeth and gums, see your dentist immediately and seek treatment instead of putting it off. RELATED: Is Flossing Necessary? Here’s What You Need To Know! Extracting the affected tooth and replacing it with a bridge, implant or denture. Going natural by removing processed sugar and grains from your diet, while eating protein-rich foods. Using ozone gas to clear the root cavity. Using calcium hydroxide to prevent the growth of bacteria in the tooth canal. Root canal need not be a daunting procedure to sit through if you’re sure of what you’re getting into and know that you’re in good hands. The above information should help you understand the entailments of this treatment so that you can proceed ahead accordingly. Author bio: Dr. Jana Harrison is a licensed general dentist at Millennium Dental with more than 16 years of experience in dental implants, oral cancer screenings, periodontal/deep cleaning, wisdom tooth extraction, and more. For more information, email her at millennium@millenniumdds.com.